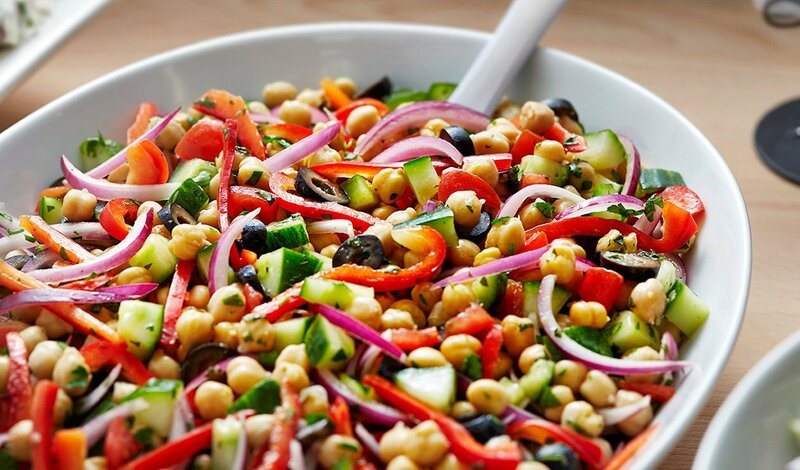 Fresh vegetables are tossed with chickpeas and chopped herbs for a bright, refreshing salad refined with Hellmann's® Classics Italian. Place all the ingredients in a large bowl and toss well to combine. Chill for 30 min. before serving or store in an air-tight container in the refrigerator up to 3 days.